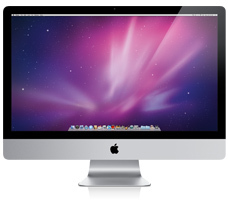 ok, so i’ve taken the photographer plunge & bought my very first imac last week! and by first imac, i mean first mac computer…EVER! it’s 27″ of technological beauty…check it! oooh-lala! i was SO excited to get my new mac, set it up by plugging in the ONE cord (uno! ), & was ready to get rolling. my excitement soon turned to frustration as i realized…duh…i had never worked on a mac before. it is completely different (i don’t care what anyone else says – it’s completely different!) & now my work flow that i had worked so hard to perfect is all OFF! sooooooo, the point of all this is not so you can hear me whine & cry about not knowing how to use my new computer; the point is that i’m hoping this post will get me some good old-fashioned help (and no, don’t eat yellow snow does not cut it!) so hit me with your best shot people…tips/comments/you tube videos etc. help a girl out! i would also LOVE (ultra-love!) any photoshop cs4 tips…i upgraded & haven’t had a chance yet to explore its new-ness! McCrakensx4 - hope you are up and running fast soon! You will get the hang of it!